“CLICK” and learn why you should switch to FNBOB Today! 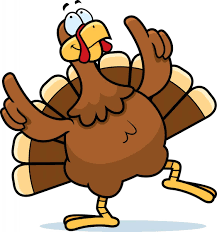 Starting next week (Monday, Oct. 29th) we will be conducting our Thanksgiving food drive to help do our part in giving back to our local communities! Both branches will be drop sites for you to bring any extra canned goods or whatever you can give! 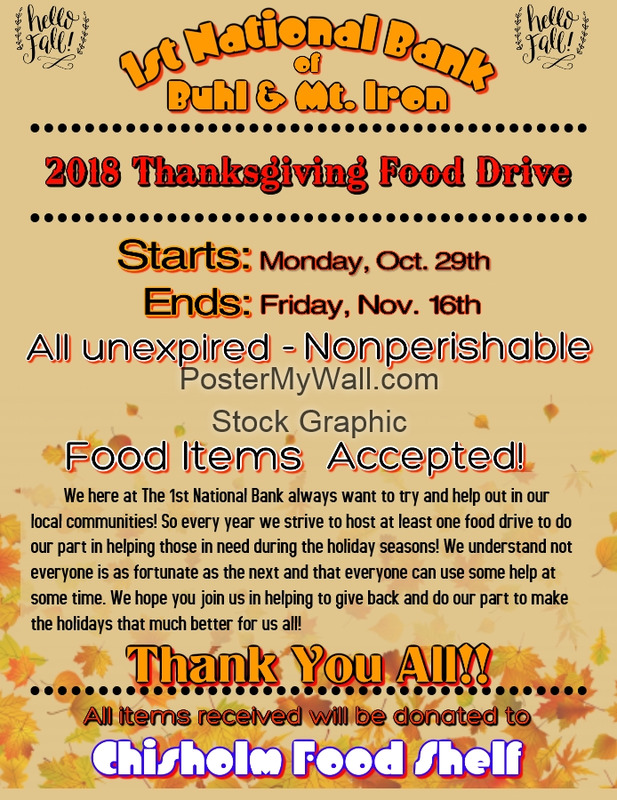 We will accept all UNEXPIRED, NONPERISHABLE FOOD ITEMS! If you have extra paper towels or products of that sort we will be more than happy to accept these items as well! All the items we take in will be donated to the Chisholm Food Shelf. The drive will run thru Friday, Nov. 16th. No donation is too big, nor too small, it all goes a long way and is very appreciated! Thanks everyone for being the best customers on the range and afar! Have a wonderful day! ©2019 First National Bank of Buhl | Website Design & Development by W.A. Fisher Interactive. Report Problems. For lost or stolen Instant Cash and Check cards, please contact us at 218-749-3190. After hours, please contact Instant Cash stolen card support at 800-535-8440 or 612-316-1484.